This week’s movie releases includes the Jack Black helmed Bernie. The reappearance of this lovably rotund gentleman got us thinking: what do we really know about this intrepid comedian? True his name has been a familiar sight to us for a number of years now but does that mean we actually have a line on the man that lies behind it? Probably not! So here it is! A nice compact little compilation of facts that will come to the rescue in any given Jack Black-related situation. No, no, no need to thank us! It was our pleasure! Gwyneth Paltrow will soon be back on our screens in Iron Man 3 – and she even gets to don the iconic metal suit this time. She’s pretty well known, but there’s got to be some stuff you didn’t know about her. Or maybe you know someone who has been living under a rock since 1989 and doesn’t know she is? Kindly refer this out-of-touch person to our cheat sheet that has everything you could ever need on Paltrow, and a lot of things you probably won’t need. A bit of the old Irish luck is hitting cinemas this week with Saoirse Ronan headlining the highly anticipated tweeny flick The Host. Here at BFF, we’ve decided to clamber on to the clamoring band-wagon that is the Twihards and dedicate our Cheat Sheet to this enigmatic beauty. What secrets will we reveal below? Who is Saoirse Ronan really? Pint-sized thespian Elijah Wood has gone all serial killer in his latest film Maniac, but there’s so much more to this blue-eyed boy. A deep love of music, for example; or the fact that he’s not bad at tickling the old ivories. DID YOU KNOW THESE THINGS? If not, browse through our Cheat Sheet and get to know the man behind Baggins a bit better. 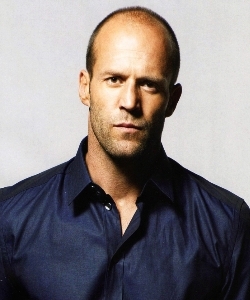 Jason Statham is quickly gaining a cult status amongst action aficionados. With his tough-guy looks and skilfully killer moves, there’s something here to please the gals as well as the guys. With his latest flick Parker hitting cinemas this week we thought it only right you be fully prepared for every ensuing eventuality and therefore humbly present this week’s cheat sheet. Richard Gere seems intent on re-inventing himself. After years of being the romantic leading man, Gere has switched gears (Gere/gears… get it?… ummm… never mind) and has scrounged up every role that can leave him in any kind of villainous light. Trust us when we say that his name WILL come up at some point during your lifetime so it’s best to be well-prepared with our handy-dandy cheat sheet!